Friday, February 22, 2019, 12:00 p.m. to 1:00 p.m. 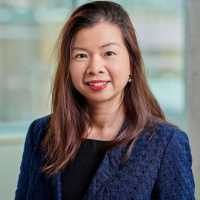 The Telfer School of Management is pleased to invite you for a New Faculty Seminar presented by Associate Professor Hien Tran on Friday, February 22, 2019, from 12:00 p.m. to 1:00 p.m. In countries in transition to an open-market economy, young firms that are dynamic, innovative and productive tend to perform better than companies that have been in the market for a while. However, these young firms are often not successful. Moreover, when comparing young firms’ ability to survive and grow with the situation of similar firms in open-market economies, young firms are surprisingly more likely to fail in transitional economies. explain how policy-makers can improve the quality of institutions and hence facilitate the survival and growth of new firms. This presentation will be in English only. Light hors d’oeuvres will be served. Launched by the Telfer School of Management in 2017, this seminar series is an excellent opportunity for the Ottawa community to get to know our new thought leaders, who are creating knowledge that has a direct impact on organizations and society in general. Thursday, February 21, 2019, 12:00 p.m.